Applications for uni in 2020 are open. You can apply for undergraduate study as well as Schools Recommendation Schemes (SRS), Educational Access Schemes (EAS) and Equity Scholarships through the Universities Admissions Centre (UAC). 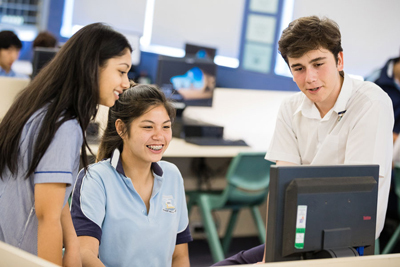 Year 12 student at Killara High School Joe Blackburn is applying through UAC. He’s studying Business Studies and Economics at school and is interested in courses in global business, commerce and business leadership. ‘I’m passionate about business and that’s what I want to do,’ he says. Along with these courses Joe is studying Chinese Continuers. ‘I want to do an international semester, hopefully in China, to develop my language skills,’ he says. One of the frequently asked questions from applicants is where they can find out about the courses on offer. The UAC Guide 2019–20 has an overview of courses and UAC's website and the My UAC app have comprehensive descriptions of all the courses available through UAC’s 27 participating institutions. Don’t forget to come back and check again once you’ve applied. Not all courses for 2020 will be available when applications open. If you can’t find the course you want to apply for, choose another course as a placeholder and come back later to review and change your preferences. Courses will be added gradually over the following months and all semester 1, 2020 courses will be available by early August. Another frequently asked question is if courses have any special requirements. Some courses select applicants based on additional selection criteria such as a personal statement, a questionnaire, a portfolio of work, an audition, an interview or a test. Any additional selection criteria will be indicated in the course description. Answers to other frequently asked questions about applying for uni can be found on UAC's website. Watch our quick video guides for Year 12 students and people who've finished high school and are applying for undergraduate courses through UAC below.